The CCRI assessment in Georgia involved three communities. Two of them, Sakorintlo and Okami, are in East Georgia, in the region of Shida Khartli of Kaspi Municipality. The other, Merjevi, is in West Georgia, in Sachkhere Municipality. The communities all differ in terms of their natural, social and cultural conditions. The village Sakorintlo is located in the Khvemo Chala Community (an administrative area that consists of several villages), close to the border of the conflict area in Tskhinvali region. It has the status of High Mountain Village, and is located 13 km from the regional centre. According to a census in 2014 it has a population of about 114 people, 61 men and 53 women. The village of Okami is similarly at the centre of a community that consists of six villages. It is 15 km from the regional centre and home to about 1,401 people, including 701 men and 700 women. Merjevi village is located in the centre of its community, and has 1,449 people, including 716 men and 733 women. 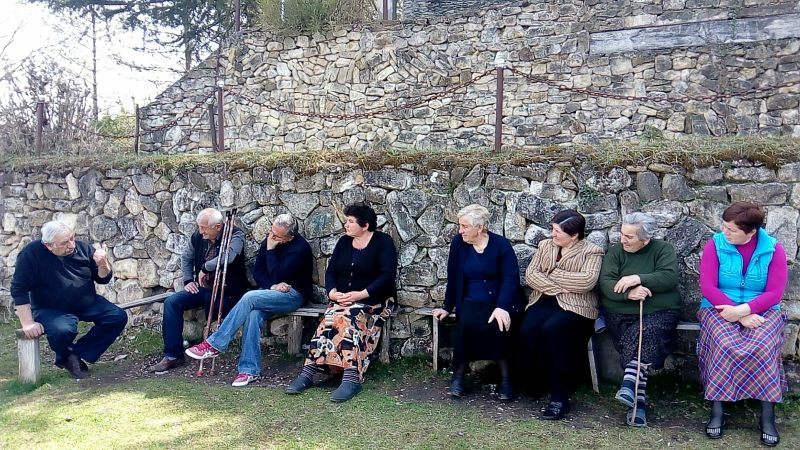 The assessment consisted of a series of meetings in the villages with different stakeholder groups, including interested participants from local communities, local authorities and school teachers. The round table meetings with local authorities were held to ensure mutual agreement, cooperation and information sharing. Separate meetings were organised with the teachers, because of their high level of interest in the initiative and their influence within the communities. Overall the assessments addressed a wide range of issues including agricultural production, the importance of environmental protection and its benefits, and environmentally friendly technologies and methodologies that can contribute to local needs and solving local problems. A national conference was also held bringing all the different stakeholder groups together, along with the national forest agency. It was a very successful meeting, and representatives from local communities felt supported and listened to as a result. 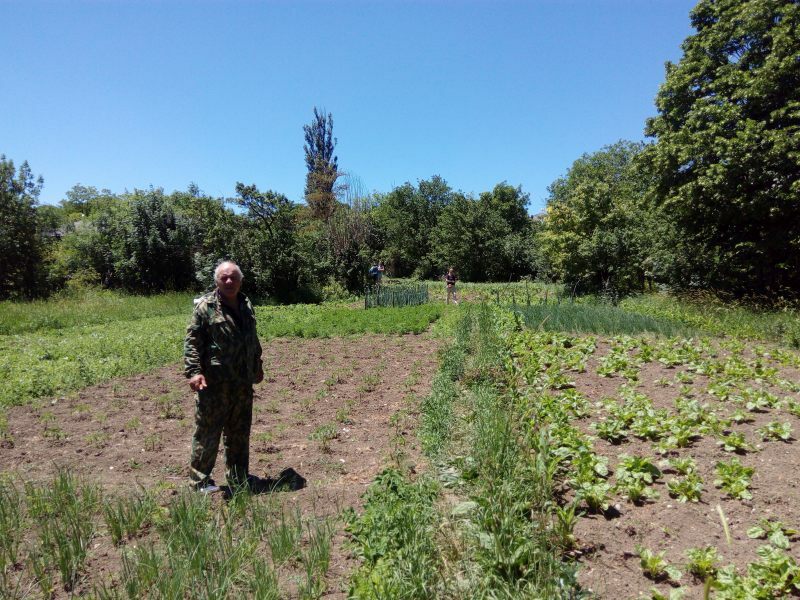 Due to the resulting increased interest and demand from the communities, a number of interested people were taken to Ereda village to visit Otar Potskhverashvili’s organic farm. Here they could see methods for producing organic vegetables and fruits, and they found out about marketing, and renewable energy technologies and their development perspectives in Georgia, among other things. They also learned about how the farm conserves forest to protect its water resources. All of this inspired them further, and they asked many questions and appealed for assistance and consultations. In the three target regions community-based non-profit organisations have now been established with the support of the project group. These organisations have started to establish programmes to support their communities. Two project proposals have already been prepared and sent to donors for funding, and one more is under development. The overriding factor influencing these rural communities and their environment is the extremely poor socioeconomic circumstances they endure, including high rates of unemployment and a general lack of economic activity. In Okami, for example, there is very little economic activity, and even though the village is only 60 km away from Tbilisi, the unemployment level is extremely high. Sakorintlo has similar socioeconomic problems, including a lack of basic infrastructure and high unemployment, and is experiencing massive out-migration of local youth. Community participants in Merjevi also reported a very low level of economic activity, with the local communities living in deep poverty, and massive out-migration of both local youth and middle-aged citizens. Another key finding is that the distribution of tasks among women and men in the communities is not equal, with most of the household jobs being done by women, together with the collection of water and firewood. This potential for development is well illustrated in Merjevi, where one of the main sources of income is the collection of non-timber forest resources, such as the medicinal plant bladdernut (Stafilea colhica), and different species of mushrooms and wild forest fruits. But there is no knowledge about or state support for the proper processing and transportation of the collected products so that they can be properly preserved and sold as high quality products, creating a source of income for the village. Lack of general information about the environment is also a problem. For instance at the moment local communities often use cheap chemicals for soil, which results in degradation of soil quality and underground water, and damages their health. Pollution is a significant concern as well. For example, although Merjevi village has a central water supply system, and electricity and natural gas supplies, there are still numerous problematic issues including the unsustainable use of natural resources, ground and water pollution, and the fact that there is no waste water treatment system. This situation has severe implications for the overall health of the local population. One of the major problems communities face in both Eastern and Western Georgia is a lack of irrigation infrastructure, which is mostly caused by poor management of water resources and its incorrect distribution. In Sakorintlo, the village suffers from a lack of irrigation water because its source is now within the boundaries of an occupied zone, and Georgian citizens no longer have access. For Merjevi lack of irrigation water is also a major concern because of its negative impact on local agricultural production. Okami has the same problem, and community participants described how it impacts the women in particular, as they have to make extra efforts to collect water from far away. The pollution of the drinking water is also a significant problem in the village. Energy poverty is a highly problematic issue that results in illegal and uncontrolled forest cuts in the region. In Okami even heating water is problematic. Local people have to purchase firewood in the market, as nearby forests are under strict protection, and collecting wood there is now prohibited. The local government does issue special permits for the local population to collect firewood, but only in forests that are 40-50 km away, and people cannot afford the transport costs. Due to this fact, illegal forest cuts frequently take place. Similarly in Merjevi, due to high prices for electricity and natural gas and non-energy efficient housing, the local population collects firewood to satisfy basic energy needs. Illegal forest cuts are taking place across forests with important ecological functions, to such an extent that the forests are becoming degraded. In spite of these difficult circumstances all the villages have some conservation initiatives of their own devising. In some places people preserve nearby ecosystems including for cultural and traditional reasons, and villages also try to protect their water resources. For example, in Sakorintlo local communities have an initiative to protect about 100 ha of natural oak forest. This started at the end of the last century, when all the nearby forests were under serious pressure because of the energy crisis. The local communities still preserve the local forest due to agreement amongst the local population that it is important for them. In Okami the forests eventually became so damaged by other villagers that the community started to protect their land themselves as well. For example, in Ereda community, where the organic farm mentioned above is located, there are now 50 hectares of naturally regenerated hornbeam forest that have conserved enough water for six wells in the valley. In Merjevi the villagers stopped ploughing the lands after the Soviet Union collapsed, converting it to pasture and planting trees as well, in order to prevent landslides. They also protect forests around holy places and there is a community prohibition on people taking even the smallest stick from these forests. They also protect tree Kartna on Shamanadzes’ hill, which is a community tree protected as part of the community’s heritage. An important finding from this CCRI assessment is that the process itself, including the local and national meetings, significantly improved the motivation of involved stakeholder groups. It can be concluded from this that there is considerable scope for positive improvements with respect to community conservation, especially when community participants and local authorities have more autonomy and feel more in control of their future. 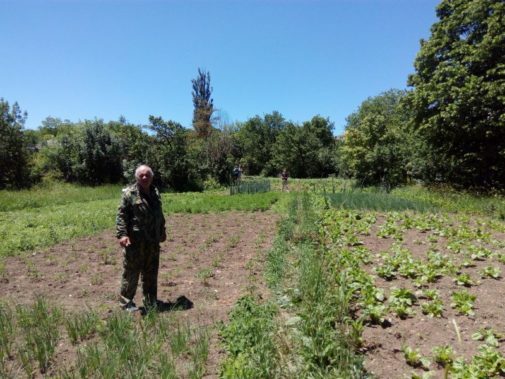 In particular, the region is already famous for its agricultural production and there is great potential for developing the organic agriculture sector, which would reduce pollution and benefit biodiversity as well as the communities. 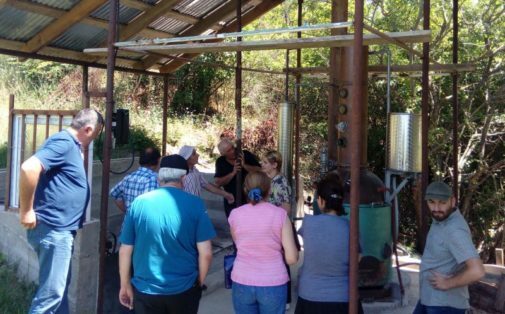 In Sakorintlo, for example, the village is rich in natural resources, including non-timber forest resources, and the local population already generates its main income from agricultural activities selling the harvest in Kaspi local market and in Tbilisi. Developing organic production would be a good way of reducing unemployment in the village. Similarly Okami village is rich in natural resources and has the potential to develop environmentally friendly income-generating activities, but due to lack of management and an absence of planning, this potential has yet to be explored. It is essential to raise local communities’ capacities and knowledge about their rights and possibilities for participation in decision-making processes in their region, to foster their involvement in the management of natural resources more broadly. Focusing on capacity building and awareness-raising for local decision- making bodies is also crucial, to invigorate local municipalities and engage them in the development process. NGOs can help to strengthen the rights and empowerment of communities facing these serious social-economic conditions, so that the communities are better able to use their constitutional rights to demand more actions from governments. NGOs can also play a role mediating with relevant authorities to overcome the bureaucratic barriers that exist in relation to gaining permission to collect and process non-timber forest resources. They can also organise educational activities to teach marketing and processing technologies and methodologies. Finally there is a need to work on gender equality within the villages to balance the distribution of tasks among women and men. 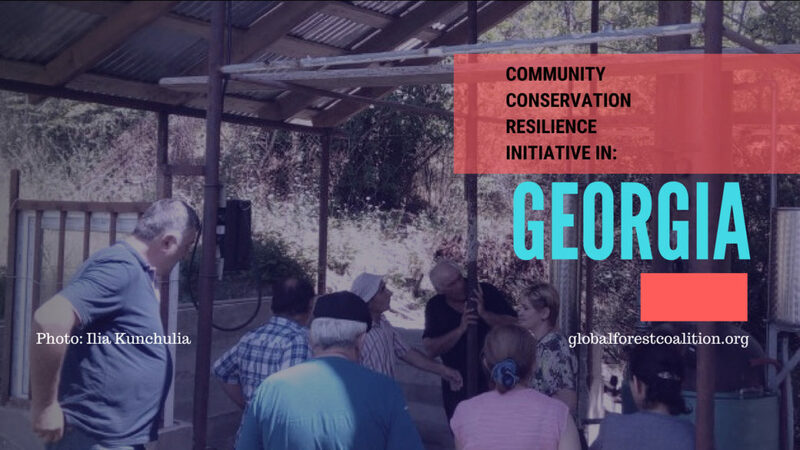 This summary is based on a full CCRI report about the communities’ conservation resilience assessment in Georgia, which can be found here.